Small businesses frequently overlook the importance of accounting and bookkeeping. By doing so, they risk not having timely and accurate records of their company’s financial health. The success of a business is often directly tied to the business’s ability to react to a decrease or increase in sales, or react to an increase or decrease in costs, or obtain bank financing for new asset acquisitions. It is vital that your accounting records are accurate and current so you can create meaningful reports and file accurate tax returns. 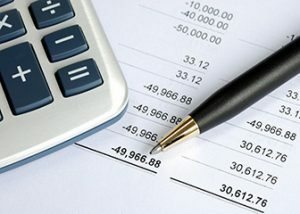 Your accounting records should be supported with detailed records of all business income and expense. Support such as receipts, invoices, and payment records (check stubs). I provide accounting and bookkeeping services at an affordable rate to help you keep an complete and accurate set of accounting records. The level of service you select is up to you from system setup and monitoring to full charge bookkeeping (including payroll). Contact me today for your free, no obligation quote.